The Auschwitz Institute for Peace and Reconciliation (AIPR) marks the third official International Day of Commemoration and Dignity of the Victims of the Crime of Genocide and of the Prevention of this Crime on December 9, 2017. Established through Resolution 69/323 of the Sixty Ninth United Nations General Assembly, the International Day is observed annually on this date to mark the anniversary of the adoption of the Convention on the Prevention and Punishment of the Crime of Genocide. Often referred to as the “Genocide Convention,” the document outlines the legal definition of genocide and, as of 2016, has been ratified by 148 States around the world. I am gravely concerned about the rising hostility and prejudice against immigrants and those labelled outsiders. There can be no place for exclusionary or superior views of identity, or for divisive attempts to separate people into “us and them”. We have seen in the tragedies of history where this dark path can lead. Member States and the international community must honor the suffering of the victims of genocide, and of their families, by working even harder against expressions of hatred, intolerance, racism and xenophobia. Let us spare no effort to uphold our moral and legal responsibility to protect populations against genocide. We live in a very important moment, when the role that governance plays in our lives is being redefined. We believe that it is the role of NGOs to emphasize that a central function of government, in our time and in the future, is the prevention of atrocities… that this is not just an afterthought or an agenda that is put to the margins of governments. It needs to be a central organizing factor. The event, including complete remarks by Dr. Galis, as well as survivors Adisada Dudic and Eugenie Mukeshimana, can be viewed on UN Web TV by clicking here. 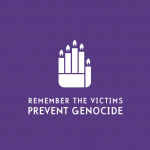 On this December 9, the third annual observance of the International Day of Commemoration and Dignity of the Victims of the Crime of Genocide and of the Prevention of this Crime, the Auschwitz Institute for Peace and Reconciliation stands united with its partners, colleagues, and all of those around the world working to prevent future violence in commemorating the memory of the victims of genocide and other mass atrocities. The Auschwitz Institute commends those who have committed to implementing and developing robust and durable policies and practices that will prevent these crimes and adds its voice to the growing call for universal ratification of the Convention on the Prevention and Punishment of the Crime of Genocide, in the recognition of the international community’s collective responsibility to prevent.